From October 2017, the updated version 62 of the popular Google Chrome browser will display “NOT SECURE” warnings on HTTP pages that have text or email input fields on a form. If you haven’t already migrated your website to HTTPS then you may have received one of these messages via Google Search Console explaining the change. What does this mean for owners of a website that hasn’t migrated to HTTPS (SSL) yet? Firstly, Google Chrome is by far the most popular browser used in Australia with a 56 per cent share at the end of 2016. It’s likely most of your customers are using the Google Chrome browser. Secondly, if you’re in the business of selling to customers, or getting leads from potential customers then this change will affect you, it’s definitely not something you should ignore. Its effect will be to display a “NOT SECURE” warning similar to this when anyone visits a page on your site that collects details in a form. Google has been pushing HTTPS on websites since 2014, firstly announcing that HTTPS would be an SEO ranking signal. 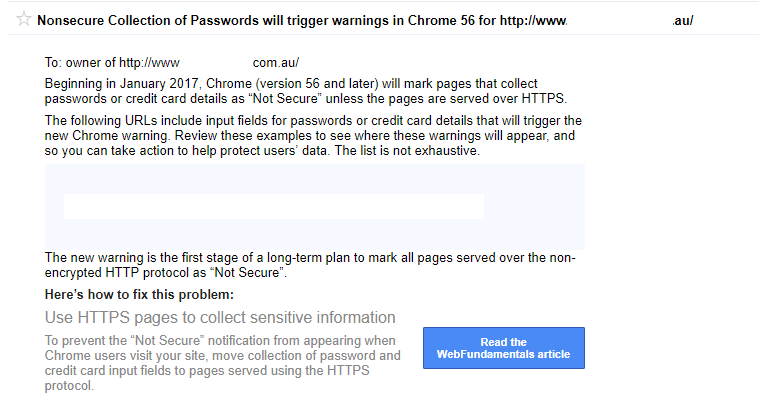 Then Earlier this year Google via its Chrome browser version 56 update starting displaying insecure warnings for sites that collected passwords or credit card information. 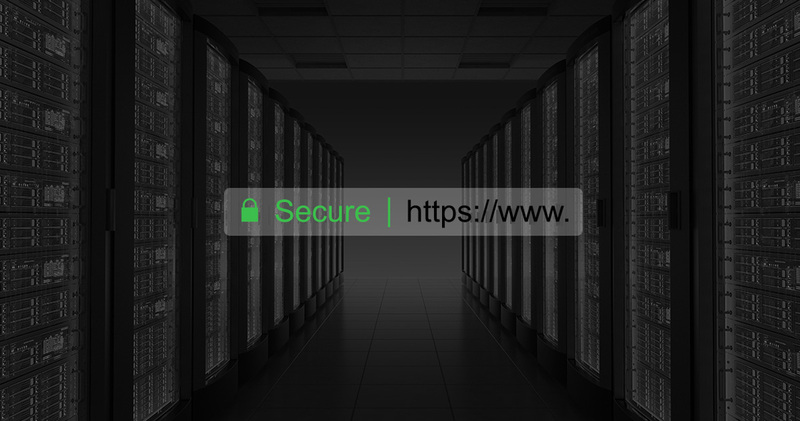 This latest update from Google Chrome will impact on a lot more websites — if you haven’t already moved your website to HTTPS then it’s time to do it now. For most websites the migration is a relatively simple process and Ignite Digital is here to help you, there’s the option to use free or paid SSL certificates depending on your business and at the same time, it’s a good opportunity to look at the performance of your web hosting and page speed. If you’re concerned about how this change will impact you then feel free to submit your site via our contact form and we’ll complete a no obligation assessment for you.